Hannah O’Brien, who grew up in the house and now runs it as a B and B, has always had a special ability to see a pair of resident ghosts. But when a man is murdered in the alley behind her place, she’s dismayed when his spirit appears, too, asking for help. FBI agent Dallas Samson has a passionate interest in the murder, since the victim’s a colleague whose death is connected to the smuggling ring known as Los Lobos—the wolves. Now Dallas is even more committed to chasing them down…. Heather Graham is one of those authors I’ve always meant to read, but just haven’t gotten there yet. I can finally say that I’ve read one of her books and I’ll be looking for more. 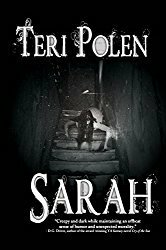 The book description had me at haunted house – the Key West setting was just a bonus. Evidently, the Krewe of Hunters is a series, but I had no problem diving into this book, so maybe they can be read as standalones also. Hannah O’Brien was a very likable character and I found it both intriguing and even entertaining at times that she could not just see the ghosts, but also converse with them. A couple of the ghosts even helped bring in business for the bed & breakfast Hannah owned. The action starts almost immediately and there were very few times I my attention wandered elsewhere. The local tales of ghosts during the ghost tour were engaging and I wondered if those stories were true or made up by the author. I liked the author’s writing style and that she didn’t go overboard with descriptions, which moved the story along at a good pace. Something that disappointed me was the ending – it felt rushed. Throughout the book, the Wolf was portrayed as elusive and highly intelligent, but when his identity was revealed, I really thought it was a joke at first. 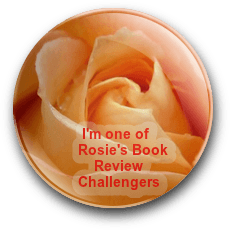 The focus of the book seemed to shift to the romantic aspect instead of the mystery so, not being a romance book fan, I was frustrated. Although it wasn’t the ending I was hoping for, I’ll be looking for more of Heather Graham’s books – just maybe those with a little less emphasis on the romance. 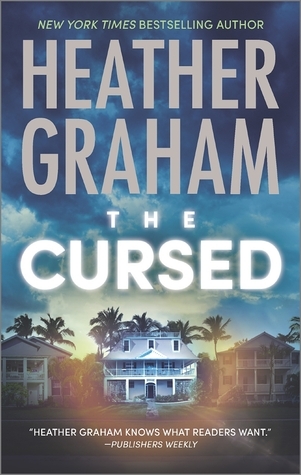 The Cursed is scheduled for publication May 26, 2014. An interesting book, I’ve not read anything by this author yet. This was my first, but plan to check out some more.